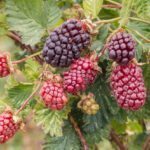 Boysenberries are a cross between common blackberry, European raspberry and loganberry. Although they are robust plants that thrive in cold weather, boysenberries require a little winter protection in chilly climates. 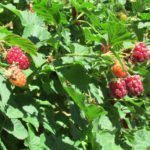 Read on for helpful tips on winterizing boysenberry plants. Mulch: Boysenberry winter protection includes several inches of mulch such as straw, dried leaves, lawn clippings, pine needles or small bark chips. Mulch protects the plant’s roots from fluctuations in soil temperature and also helps prevent soil erosion that often occurs in heavy rainfall. Apply the mulch in fall, after a few hard frosts. Aim for at least 8 inches (20 cm.) of straw, or 3 to 4 inches (8-10 cm.) of other mulches. Lay the boysenberry canes down so they face in one direction. Hold the canes down by placing a shovelful of soil on the tips. Use a shovel or hoe to create a shallow furrow between rows. Rake that soil over the canes. In spring, use a pitchfork to lift the canes, then rake the soil back into the furrows. Rabbits love to chew on boysenberry canes during the winter. Surround the plant with chicken wire if this is a problem. Reduce water after the first frost. This will help harden the boysenberry bushes for winter. Read more articles about Boysenberries.